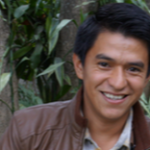 Francys is originally from the municipality of Huehuetenango and was selected as a GOJoven Guatemala Fellow when he was 24 years old. He finished his university studies and obtained certification as a nurse and unversity technician. He considers himself a young leader of his community who seeks equality and gender equality, defending the rights of the people. Francys started getting involved as an social activist when he was 18, as a founding partner of a community base for LGBT rights in his municipality. He is currently a volunteer in several organizations that work on the subject of Sexual Health and Reproductive Health, STIs, HIV-Advanced HIV, Political Advocacy, and HIV-HIV Advanced. Because of his knowledge as a nurse and his participation in different spaces, he has been allowed to be part of two institutional boards that work on HIV-Advanced HIV.